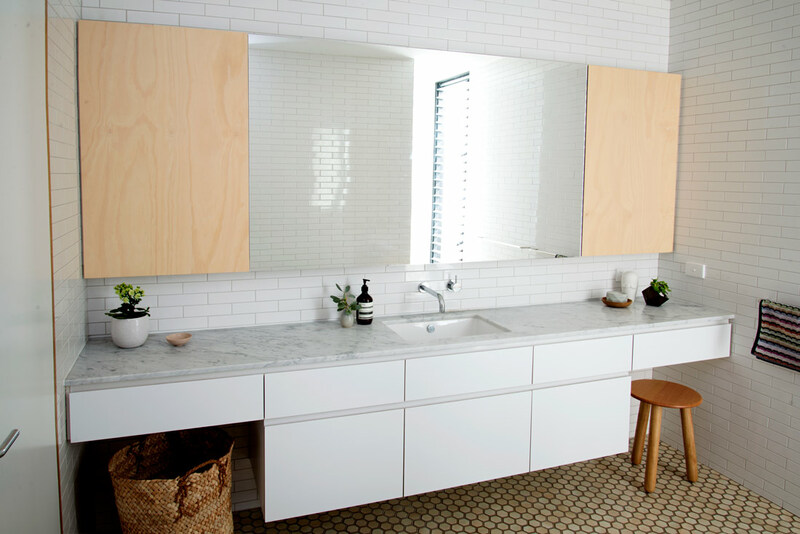 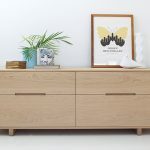 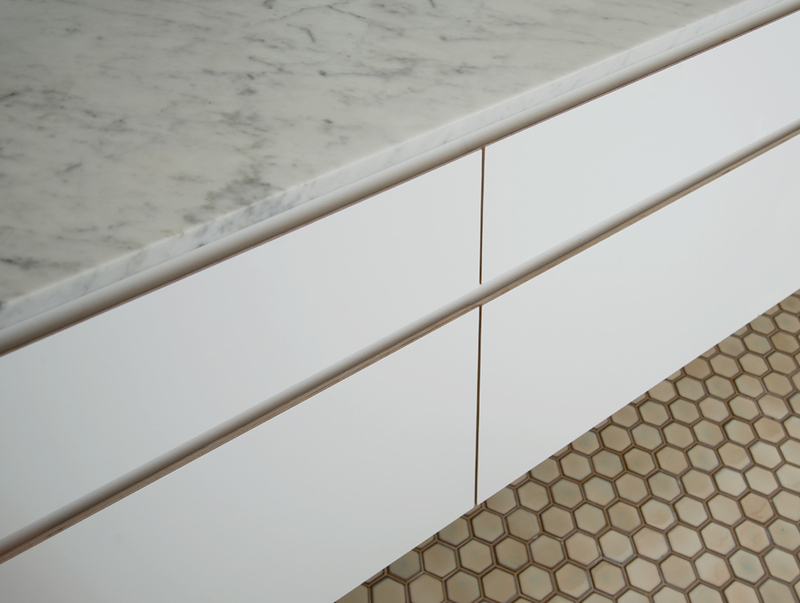 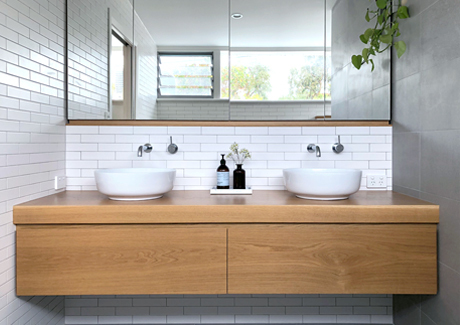 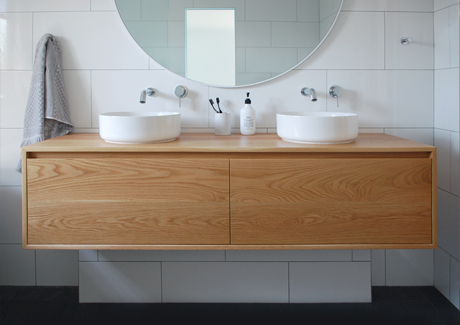 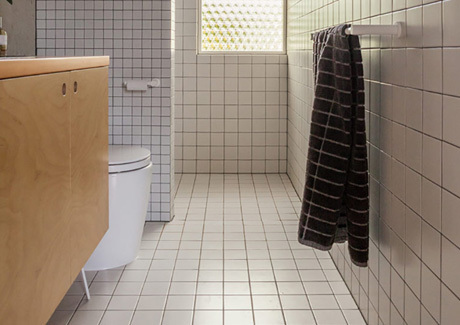 White Laminate on Birch Plywood drawers is fitted to the full width of the bathroom vanity. 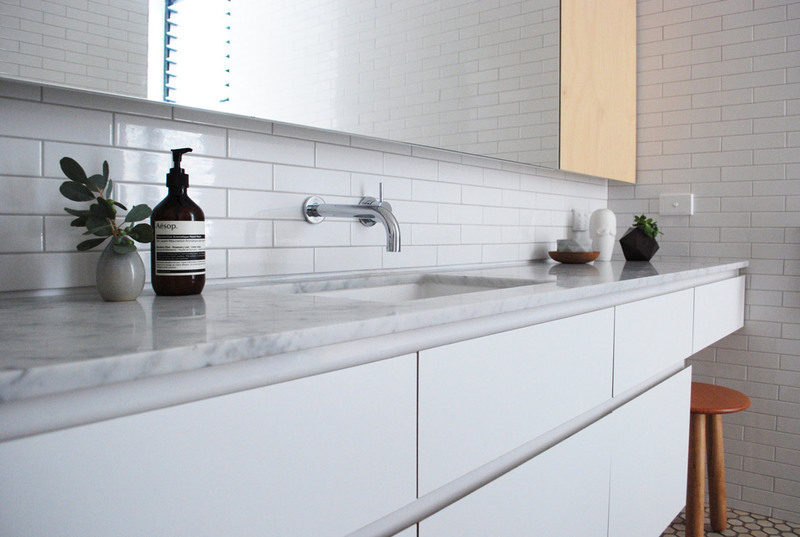 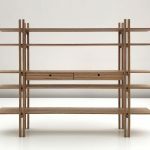 The shark nosed handle creates clean, minimal lines. 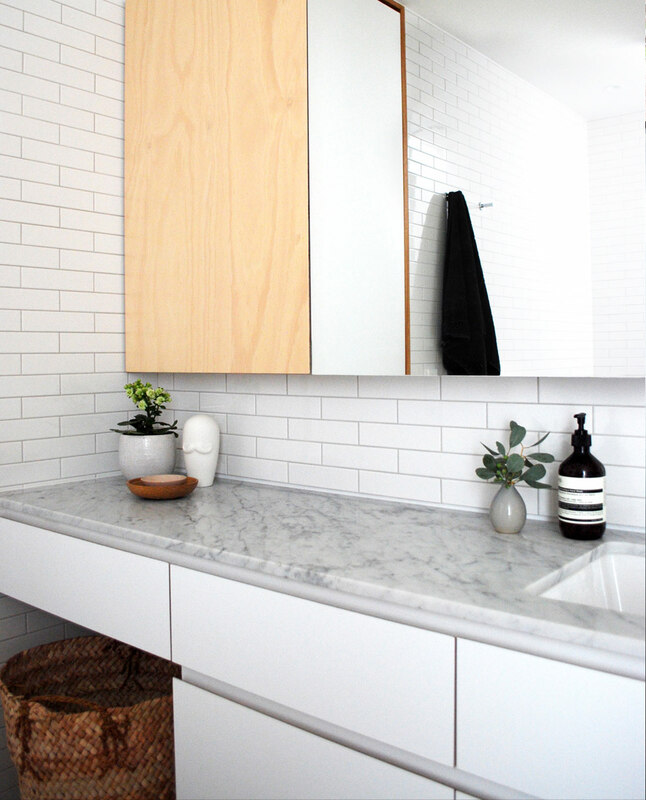 Two symmetrical Plywood Panel Door Fronts on the mirror cabinet add warmth and contrast in the bathroom.